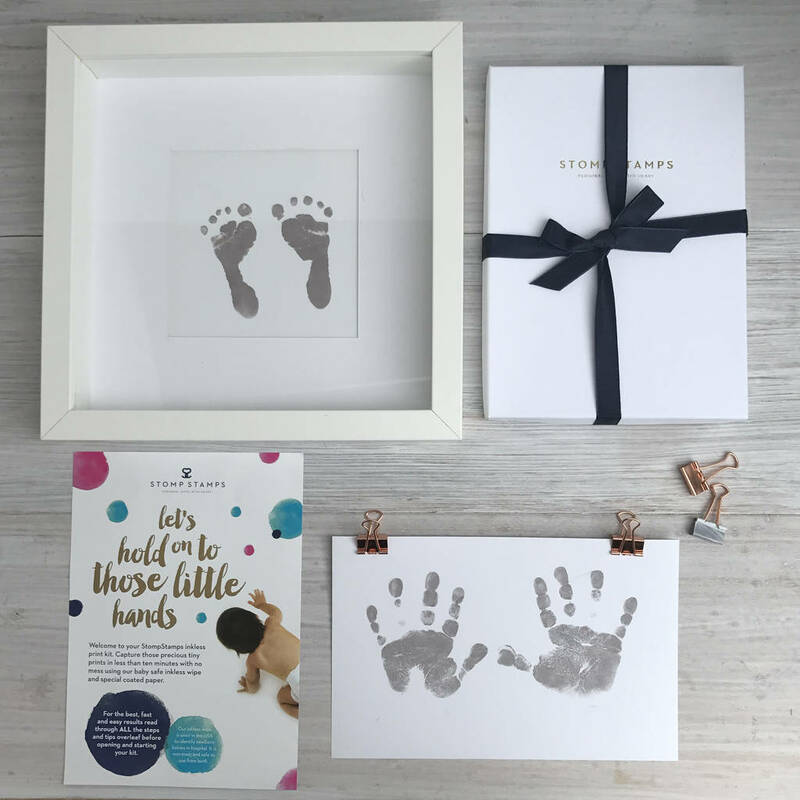 Discover the easy and safe way to capture and commemorate the memories of a new baby's first special days, with a timeless handprint footprint keepsake. The precious moments of the first months of a new life fly by. 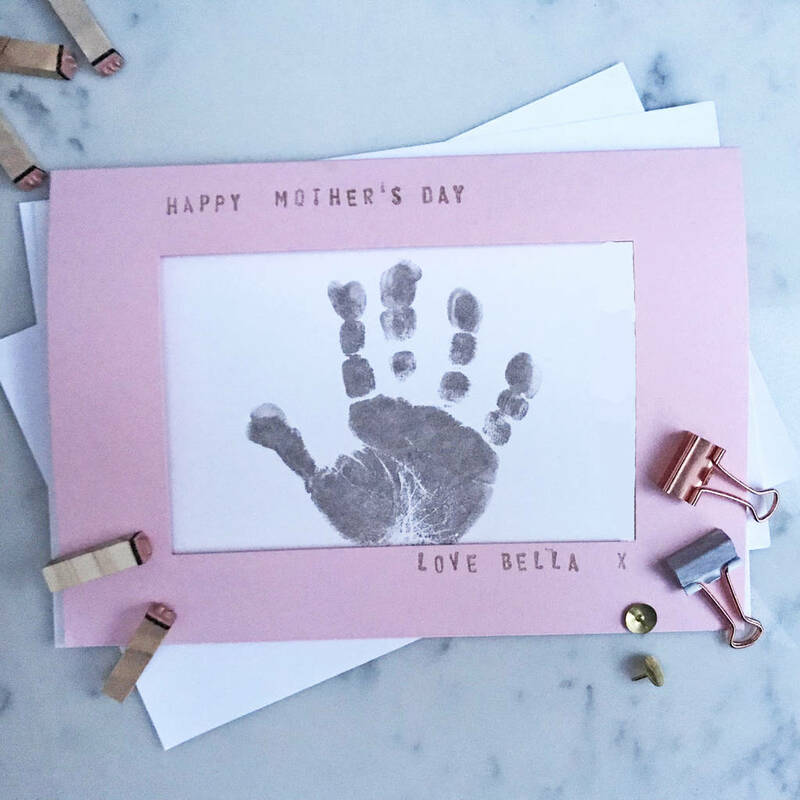 Creating keepsakes using handprints and footprints of little ones is a great way to capture memories of just how little and wonderful they are. Send a bit of sunshine to new parents, a special new mum on her first mother's day or as a keepsake of your own baby. 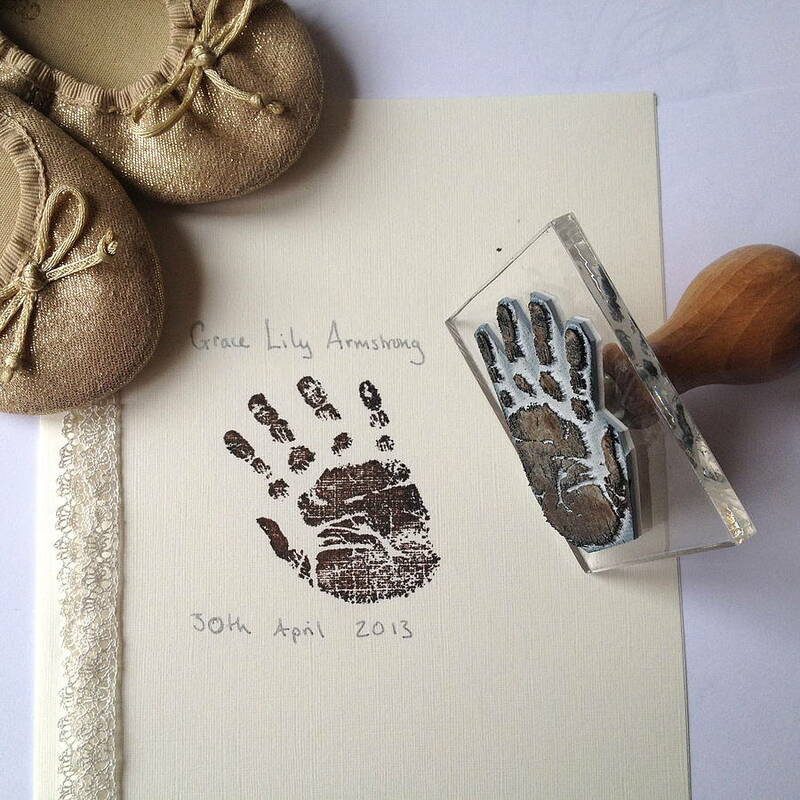 This new baby gift helps you print hands or feet safely, creating your own print instantly. You will love presenting the classic gift box with hand tied ribbon to new parents, who will love using our simple kit to capture their baby’s perfect, tiny feet and hands. A keepsake that will be treasured by them and their child as they grow. It’s worry-free and takes very little time to get baby’s hands and feet down on paper without any ink or paint – which busy new parents will love! The kit includes full instructions and tips. It is quick and easy, simply wipe baby's feet or hands with the baby safe inkless wipe and press their feet lightly onto the specially coated paper and watch their prints appear in moments - like magic! 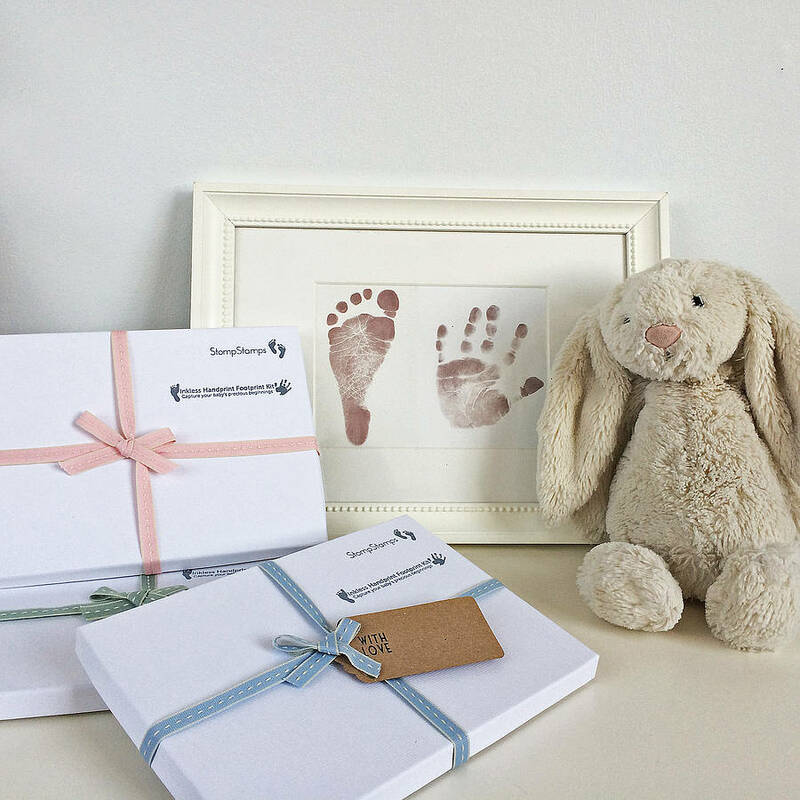 If the item is for you to use on your own baby (or as part of a larger gift) we do an unboxed version which comes with the contents and a beautifully designed instruction leaflet wrapped in a flat cellophane sleeve which is posted in a do not bend envelope. It is the perfect size for popping into your hospital bag (you can use the kit from birth!) or as a little extra present to post with a new baby card as this version is light to post. 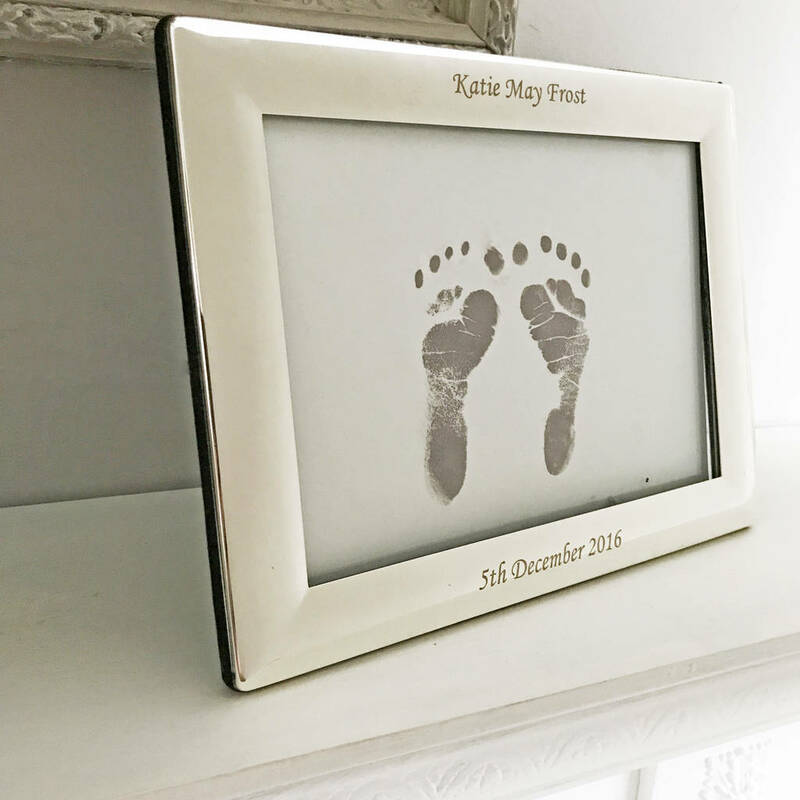 We are pleased to offer a beautiful silver plated frame which can be plain or personalised with the name of the baby and the date of birth or the date of the christening for a very special keepsake. Please note that the optional personalised frame will be posted seperately if ordered as it is made to order. It will still arrive by the advertised delivery date. Please note that the frame cannot be sent internationally as it is fragile. 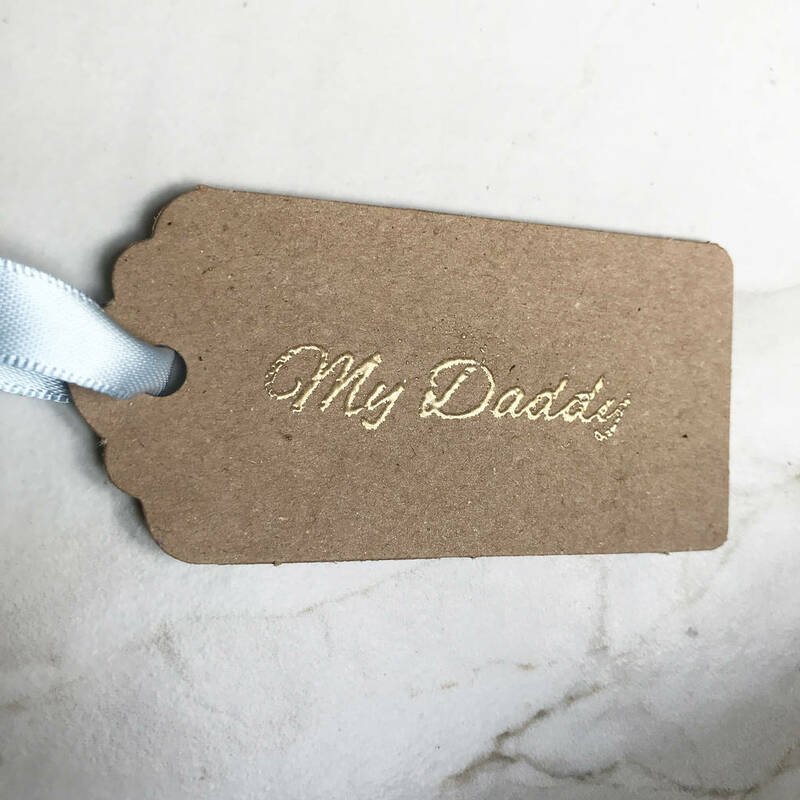 We have a limited amount of My Mummy gift tags as an extra option especially for mother's day. Either stamped in ink or gold foiled by hand to give a luxe finish. Please note the gift tags are designed to be threaded onto the ribboned gift box. If you select a gift tag for an order without the gift box we will put it in the cellophane sleeve without ribbon. The prints can be mounted and framed, or used in keepsake books and memory boxes. The frame is not included. - One inkless wipe. The inkless wipe is non toxic and used routinely on newborn babies in American hospitals. Please note the wipe is dry to the touch yet only a gentle wipe on baby's feet or hands is required as the inkless magic transfers easily. 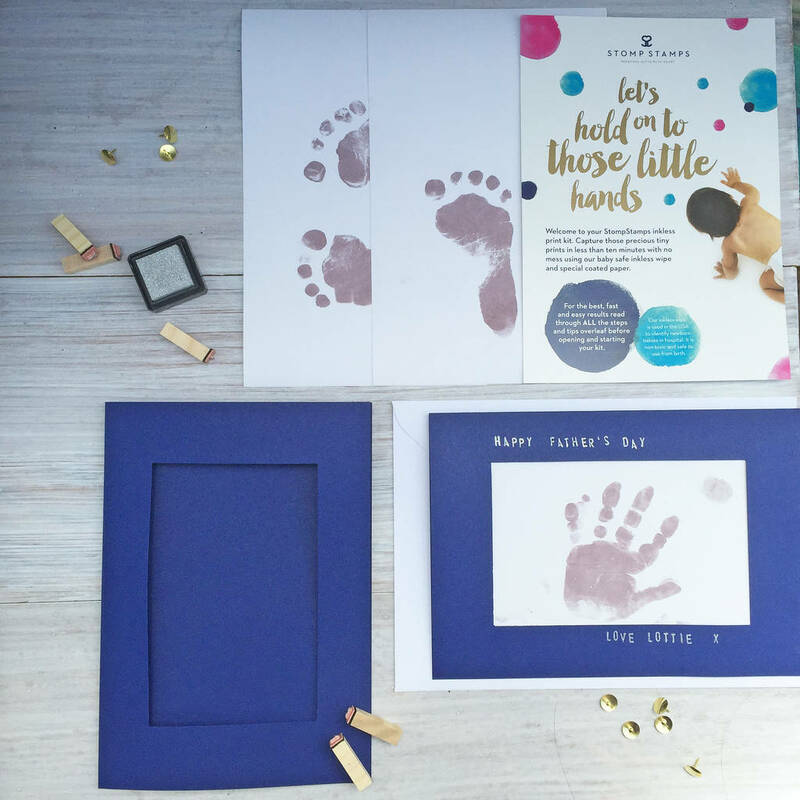 Once you’ve got your little one’s prints, we offer 10% off our other bespoke baby print products, so you can get ink stamps of the hand or footprint to use on thank you notes, keepsakes or on gifts for friends and family. Alternatively, you can pre-order these products at 15% off. The maximum size of the preordered life size stamp is 7cm. These offers cannot be used with other offers or during November or December. We do not recommend taking handprints of babies until they are 6 months old as their tiny hands have not yet uncurled. Footprints are perfect for this age! Please note the gift tag, frame and bunny are not included as standard but the gift tag and frame can be added. To preserve your prints, display them in a frame which protects from sunlight or ensure they are displayed out of direct sunlight. The optional StompStamps gold foil finished keepsake box is approx A5 size and approximately 2cm deep.